Sara Tillema is the Director & Campus Minister at Cal Aggie Christian Association. 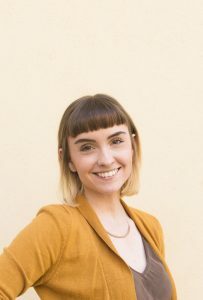 Sara joined the CA House family in Summer 2017. While born and raised in the Sacramento area, prior to moving to Davis Sara attended Azusa Pacific University where she studied Philosophy and Religion. From there, she completed her Master of Divinity at Princeton Theological Seminary with a focus in Campus Ministry and Theology, Women, and Gender. She loves working with college students as they navigate life’s big questions, and is particularly interested in empowering students to see how their faith and passions can intersect to create meaningful change in our world. Sara’s favorite activities include binge-reading (particularly fantasy, sci-fi, and YA novels), drinking coffee, philosophical discussions, and hiking with her spouse, Aron, and her puppy, Pax.. Sara is currently seeking ordination as a Deacon in the United Methodist Church. Sara develops and oversees all programming, provides pastoral care to students, interfaces with campus institutions and other campus ministries, and manages the organization’s finances in partnership with the Board of Directors. To contact Sara, use the contact button to the right, or email her directly at sara@cahouse.org. 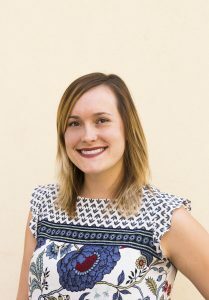 Anna Kerr-Carpenter is the Community Coordinator at Cal Aggie Christian Association. She joined the CA House family in the Fall of 2017. Anna was raised by two Methodist pastors and had an early fascination with religion. While working toward her Bachelor’s Degree in Anthropology at Illinois Wesleyan University, Anna was actively involved in the school’s Interfaith Student Organization, helping to cultivate her deep passion for Interfaith and Multifaith work in the world. She believes in the important opportunities college campuses like UC Davis offer in cultivating Multifaith dialogue, and she enjoys creating spaces for the diversity of faith and culture to come together. Outside of CA House, Anna is a professional wedding and portrait photographer. In her free time she enjoys taking pictures, drinking coffee, watching movies, and spending time in her favorite city, Sacramento. Anna provides program support, manages the property and residents of the Multifaith Living Community, and oversees all social media. The CA House MLC Assistant lives in the Main House and has responsibilities for assisting residents and staff of CA House. The MLC Assistant works closely with the Community Coordinator in updating social media, maintaining status as an UC Davis RSO, assisting with the leasing process, and handling minor resident emergencies and lock outs. The CA House Community Advisors serve as the primary point of contact between residents and staff by building relationships with the members of their house to ensure that all members of the community are integrated into the CA House program and mission.